The original Temple Run was a huge hit on Android when it came out, following an already successful splash on iOS. 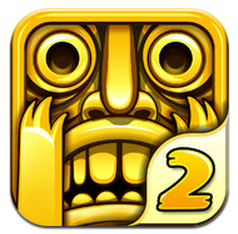 Now, Imangi Studios is hoping it can pull the same feat off again with Temple Run 2. The title just launched on Apple's App Store today. Don't adjust your television sets, folks. Partly because you're probably not reading this on a TV so adjusting it would be silly and partly because, yes, this is still an Android blog.